An online campaign to remind Americans that 68,000 U.S. service members are still fighting in Afghanistan launched last month. The 68,000 Remember campaign is sponsored by Spirit of America Worldwide and "recognizes and supports the 68,000 American troops that still serve in Afghanistan." The group is asking for photo submissions from supporters to raise awareness. The goal is to receive 68,000 portraits, "one for every American servicemember" deployed to Afghanistan. The pictures are being uploaded to a "Wall of Support" that can be found on the group’s Facebook page. 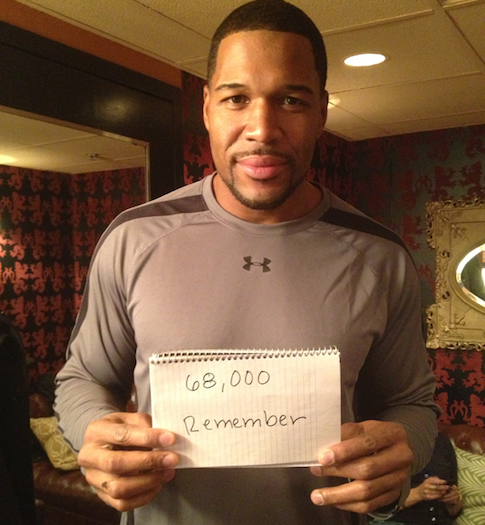 The campaign can also be found on Twitter by following #68kRemember. Spirit of America is a 501c(3) nonprofit that works to help "Americans serving abroad assist people in need." This entry was posted in Issues and tagged Afghanistan. Bookmark the permalink.